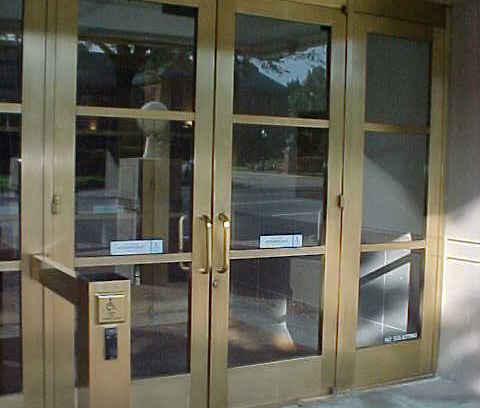 Most commonly used metal accents are elevator doors, call plates and frames adorning glass doors. The metal finishes on these accents may be chrome, brass, brass/copper, antiqued brass or mirror-polished. The everyday wear and constant exposure to oxidation requires periodic treatment to sustain the original look. Whether these metal accent trims are full doors, such as those at elevators; the trim in elevator cabs; pulls; ceiling plates and floor plates at class doors; or the fire stand; the need to refinish becomes apparent after two or three years of exposure to oxidation and use. As is the case with most maintenance, the cost of refinishing is a mere fraction of the cost of replacement. A lacquered finish to seal the newly restored metal, and retard both oxidation and wear, should b e applied following removal of scratches and subsequent polishing of the trim. Finishes may be mirror-polish, brushed, sanded or antiqued, all of which can be restored on site. Don’t miss out on events and special offers.